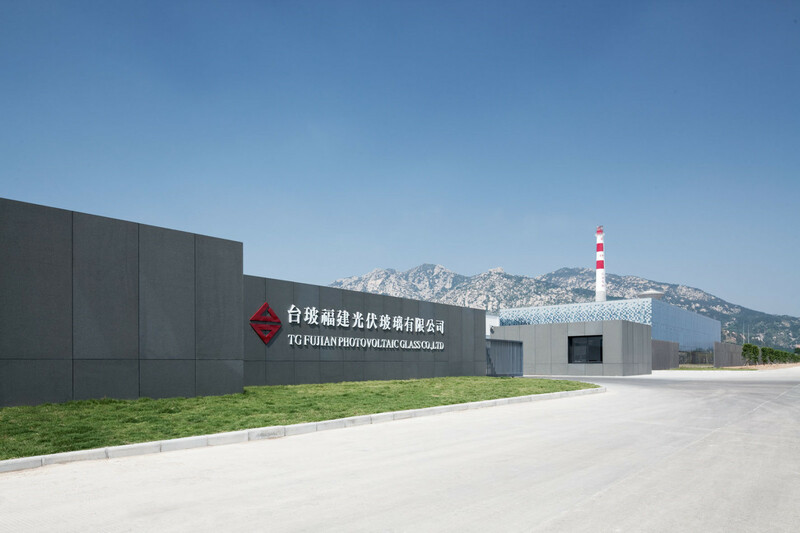 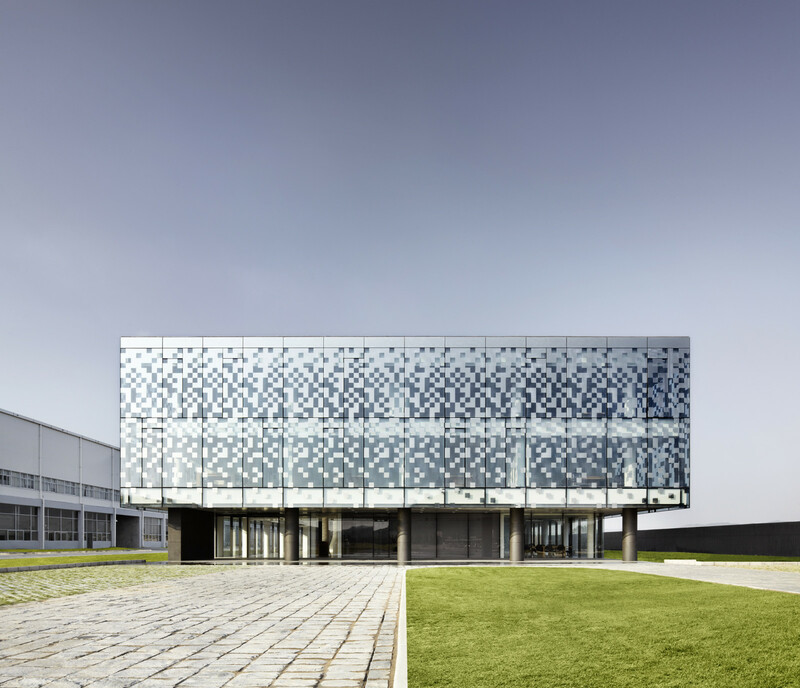 A new company base for Taiwan’s largest glass manufacturer, Taiwan Glass in Fujian, China, a 4.200 sqm office building was commissioned by the client to administer the new factory complex. 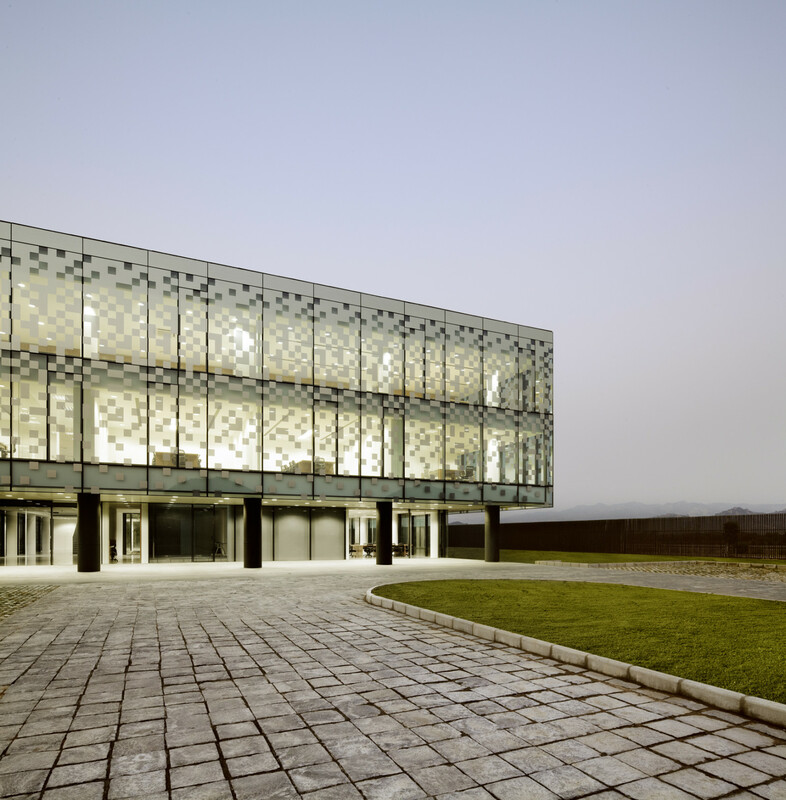 A three-storey building to house the company’s offices, administration, showroom, restaurants as well as apartments for company managers along with connected buildings such as the gatehouse and a plant building were constructed. 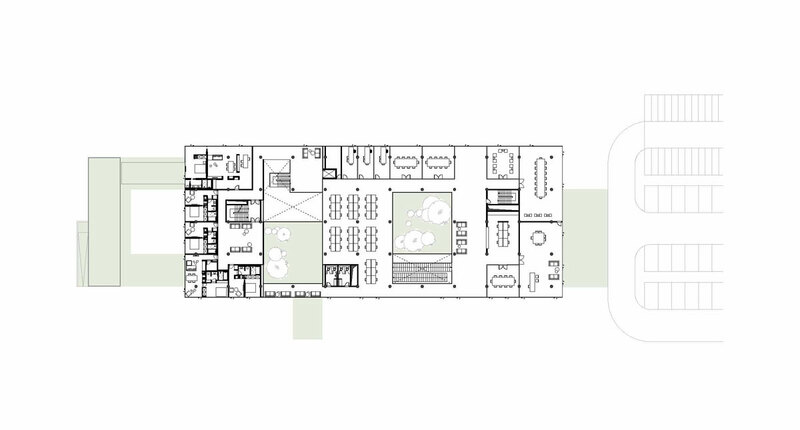 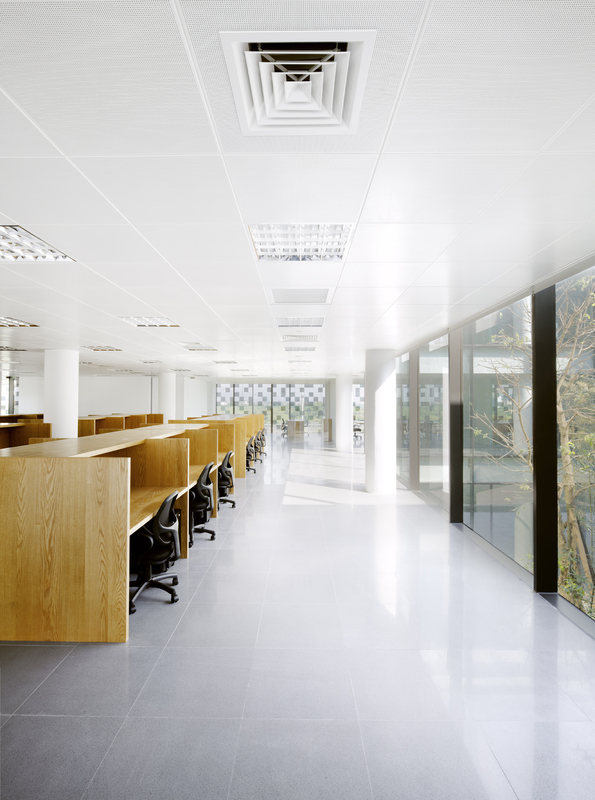 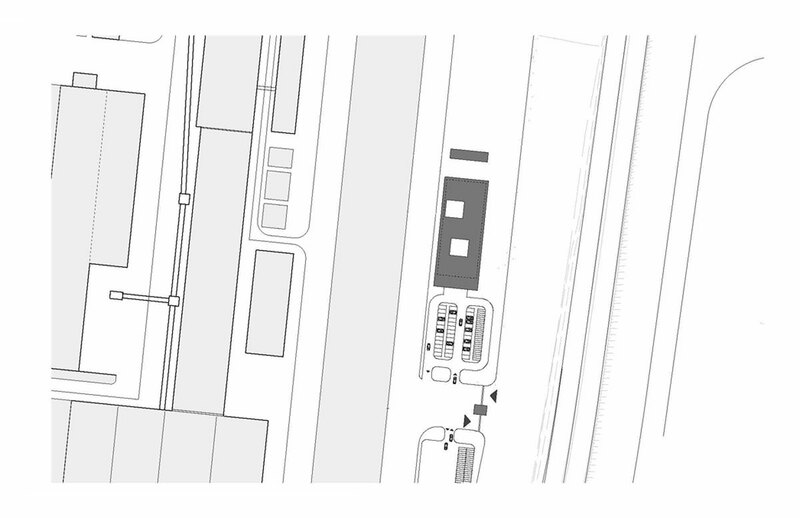 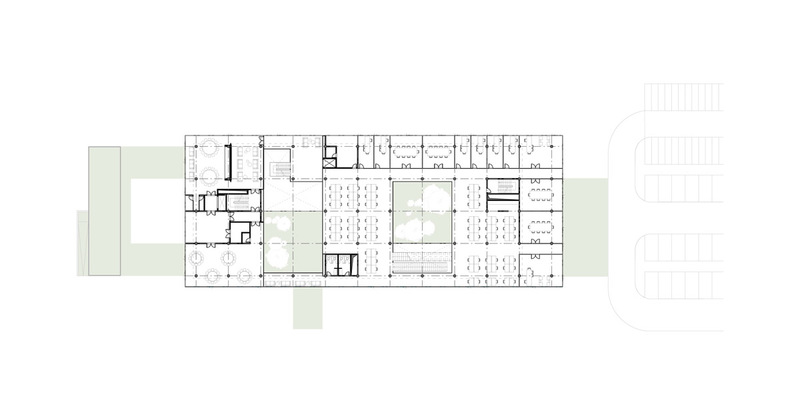 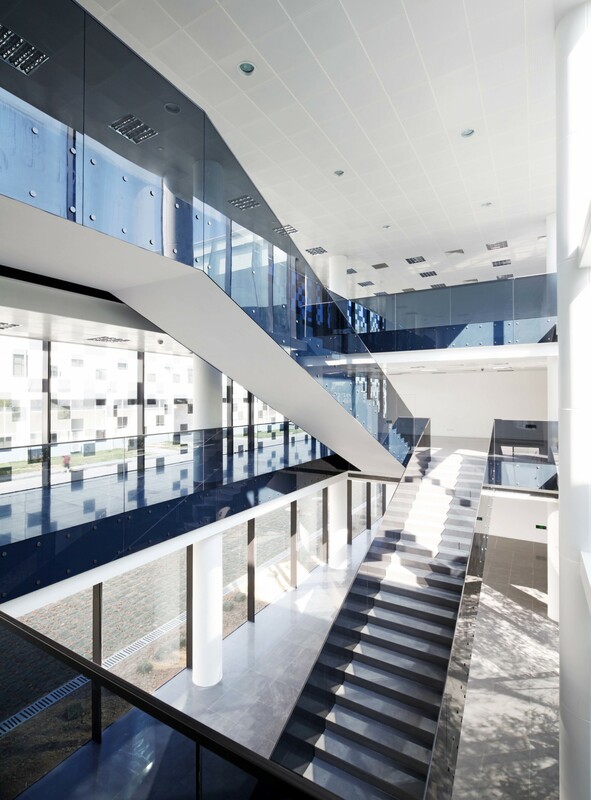 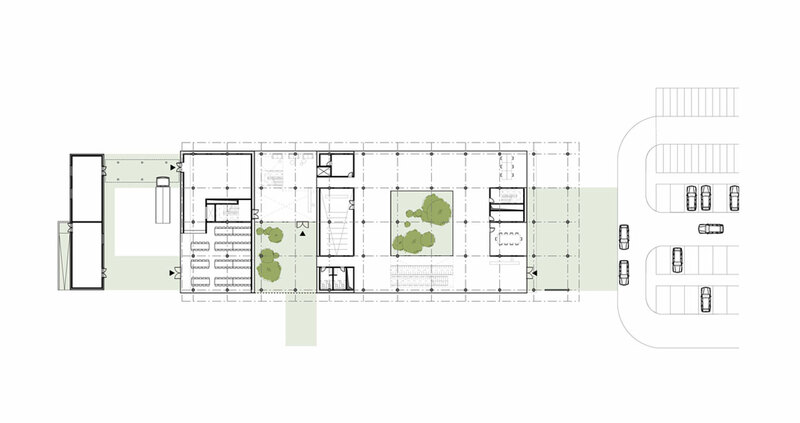 The general floor plan of the building was structured around two large courtyards allowing for a generous amount of daylight and generating a very comfortable working environment. 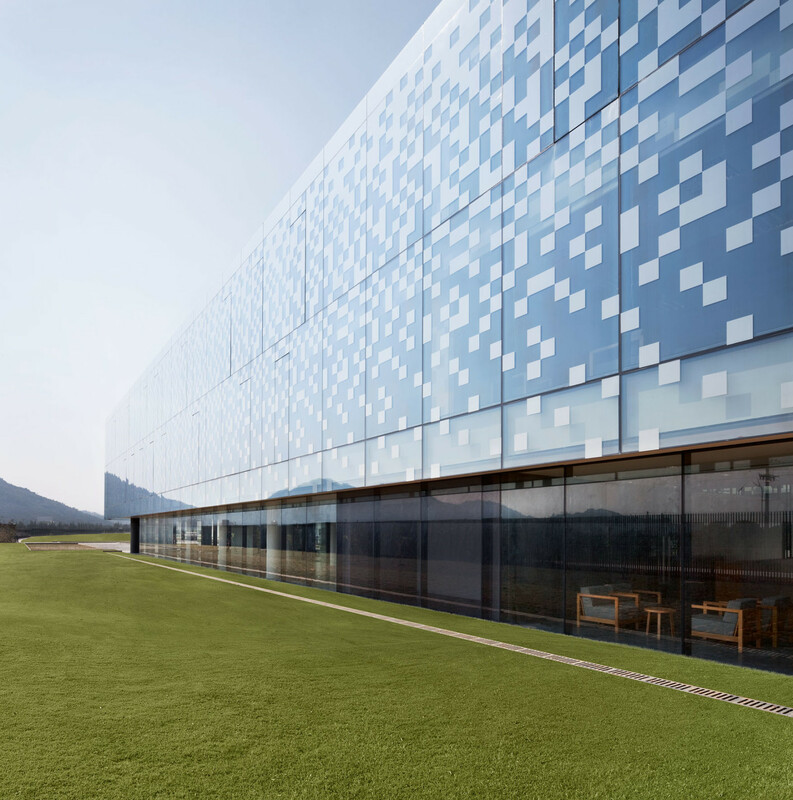 Together with Taiwan Glass a partially coated Low-E glass was developed, which was produced especially for the façade of the new office building in Fujian. 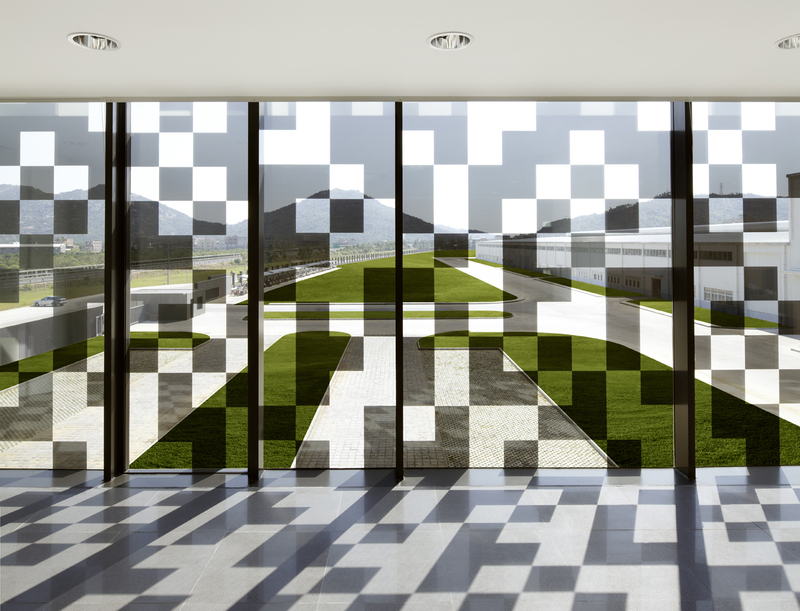 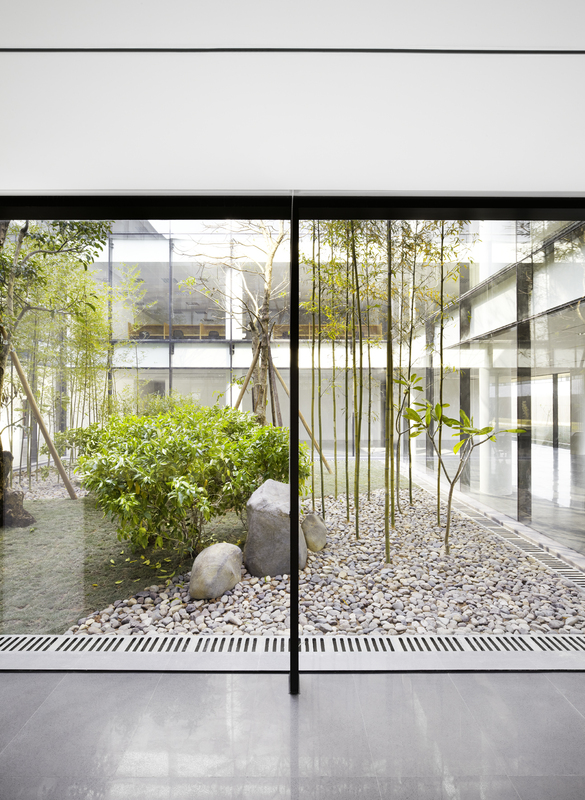 The coated areas of the glass are mirror-finished from the outside but still remain transparent from the inside. 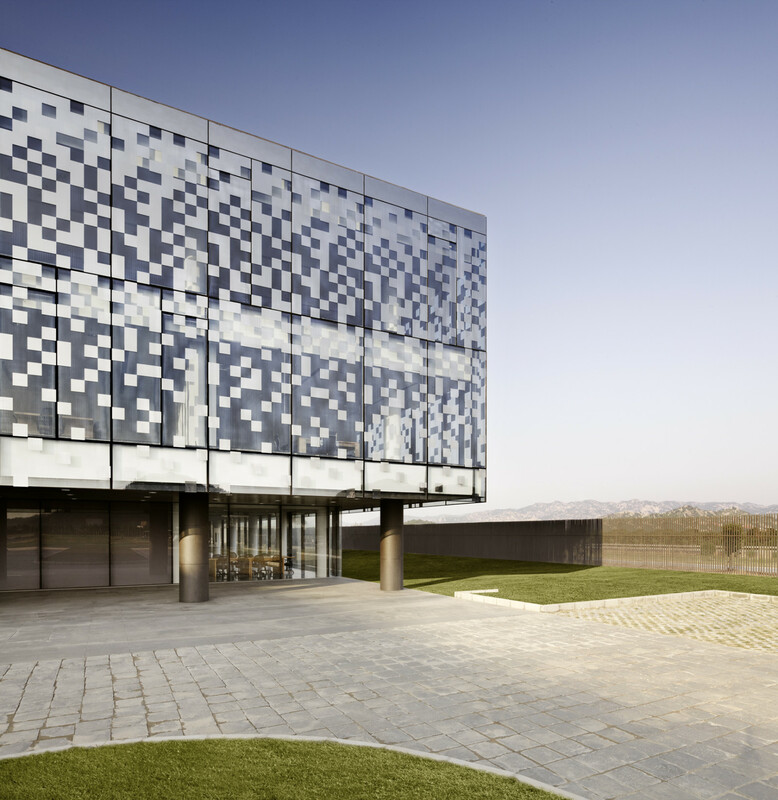 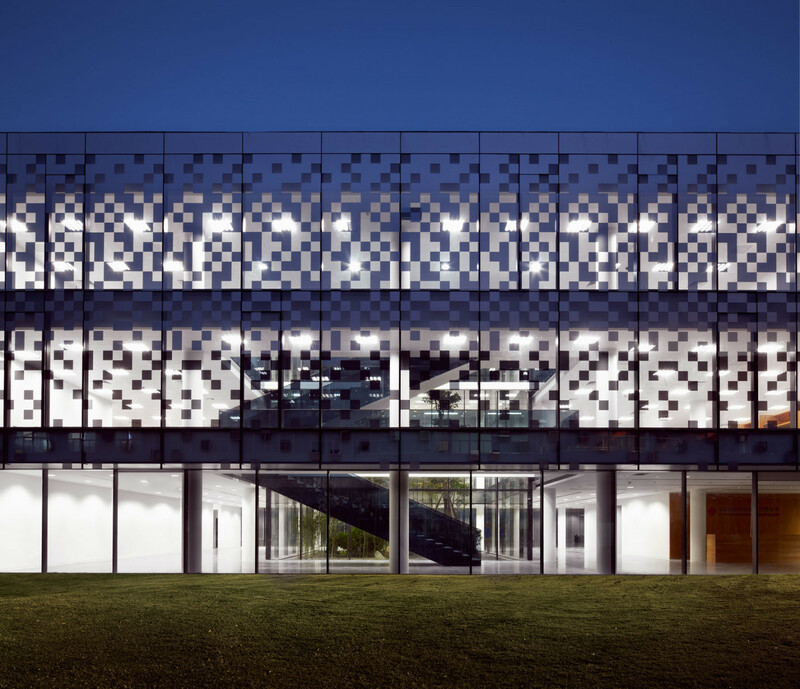 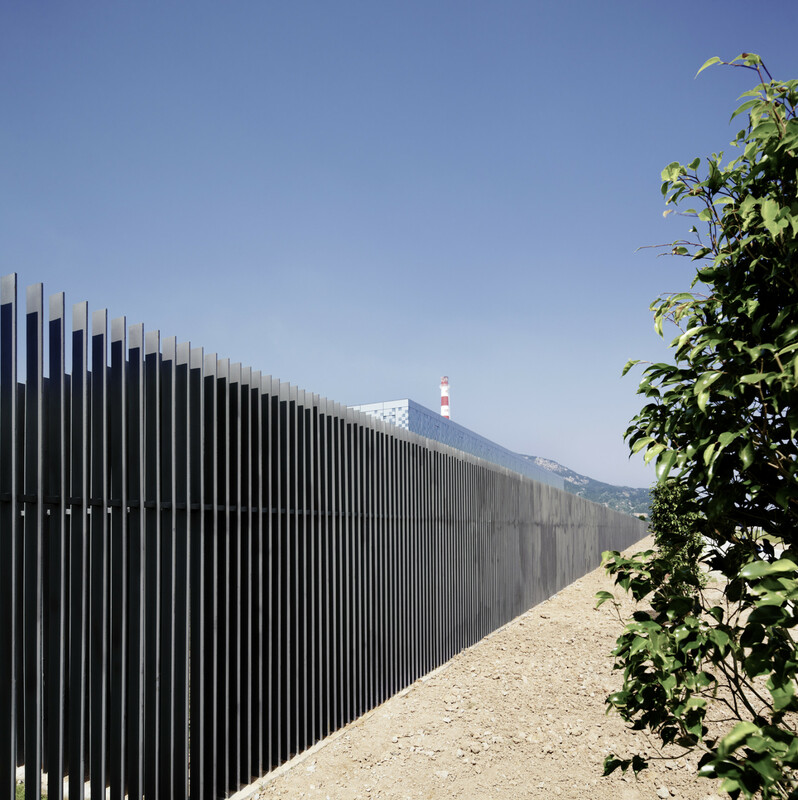 The result is a glass facade that provides the required protection from sun and heat as well as producing an aesthetically interesting appearance.